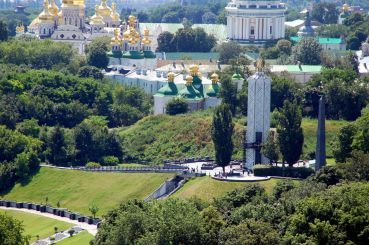 On the Dnieper hills, buried in greenery, located glorious city of Kyiv. It is not only the capital of modern Ukraine, but also a center of national spiritual culture, the center of cultural life, a symbol of the continuity of historical traditions. Every year during the last weekend in May Kyiv invites everyone to celebrate the Day of Kyiv. Many European capitals can envy this long, because it is believed that the city was founded in 482 AD. In these holidays is a large variety of events, competitions, concerts, fireworks and exhibitions. 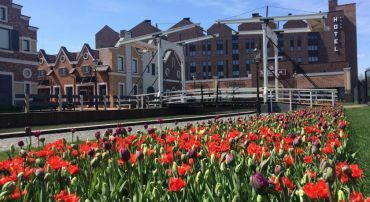 Celebrating Kyiv in late spring is not accidental, because at this time your bud Apr chestnuts, without which it is impossible to imagine Khreschatyk - the main street of the city. When you are in Kiev, do not forget to try the delicious cake Kyiv - another symbol of the city. Kyiv has a well-developed infrastructure, and most convenient way to travel - metro, with which you can quickly get to any of the ten districts of the city, including the left bank. Subway is open from 6 am to midnight. Dnieper divides the capital into two parts: the left-and right bank. Airport "Borispol" located on the left bank, and "Zhulyany" - on the right. Let's go on the right bank. From metro station "Arsenal" along the street Grushevskogo can easily get to the Mariinsky park, a favorite resting place of Kiev. There you will see the Mariinsky Palace , built in 1774 by Empress Elizabeth. If you come to Kyiv with your lover, do not miss the city of lovers in Mariinsky Park. Kiss on the bridge will remain forever in your hearts. Next to the park is building the Parliament and the observation deck, which offers a fabulous view of the river and the entire left bank. Whatever you enchanted with whom you would not go in Kiev will not be bored. If you are interested in unusual places, be sure to visit Museum of Water in Cross Park. Earlier in his place was vodonahnitna tower. The museum has a collection ... Nevertheless, it will be a surprise for you. Also, do not forget to visit the "House with Chimeras" . You will be amazed! Another famous place in Kiev - is the Golden Gate , which in ancient times were entering the city. Come and visit to Kyiv Bessarabskiy market , where you will experience the local flavor. 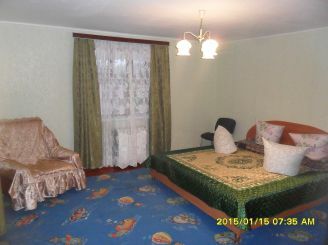 And on Andreevskom you will like it relaxed artistic atmosphere. Going back to wear comfortable shoes, because many will go. There you can buy souvenirs for every taste. If you are tired, next is operating funicular. Beside him flaunts Orthodox St. Andrew's Church , built in 1754. Andrew Descent combines upper town and Podol - historical place of trade and crafts. At the tail is known Kyiv-Mohyla Academy. Students consider it an honor to study there. 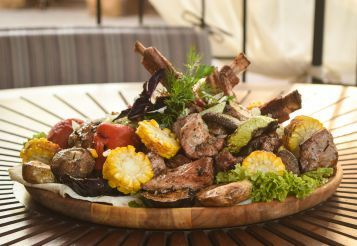 Find a place in Kiev to eat, not hard. Khreschatyk leading to Independence Square . 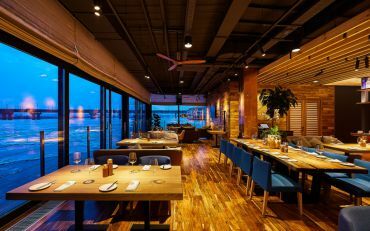 Around the many restaurants. Welcome to one of them and try real Ukrainian borscht and dumplings with garlic. Fans will appreciate the professional theater concerts and performances of the National Opera House. Taras Shevchenko University , the National Drama Theater. Ivan Franko Drama Theatre. Lesya Ukrainian and Kiev Conservatory, Tchaikovsky and many other institutions. Touch the past you can by visiting Kiev-Pechersk Lavra . This monastery was founded by Yaroslav the Wise in 1051. Laura has a vast territory and a cave that store incorrupt relics of the holy saints.It really is a holy place. If you want to learn more about the history of Ukraine, we offer visit ethnic outdoor museum "pie" . Transportation Kyiv is functioning well, so from the center to the museum can be reached in about 30 minutes. In there you will expect samples Ukrainian buildings 17-20 centuries: huts, wood mills, windmills, churches and others. 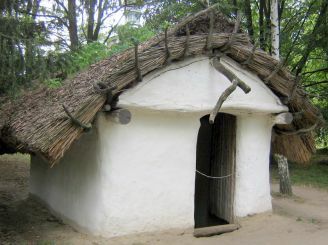 Every house in the "Pirogov" - a small museum, which recreated the atmosphere in which they lived Ukrainian peasants. To see everything, you'll need almost daily, so well you plan your trip to the museum to fully enjoy viewing the unique sights of Ukrainian architecture. Experienced guides will tell you about the appointment of certain buildings and household items. A sightseeing tram that goes in the "Pirogov", will make your trip more comfortable museum. The best way to spend unforgettable evening in Kiev - a walk on the boat on the river Dnieper. Bright banks of the Dnieper, impressive monument "Motherland" , Arch of Friendship of Peoples , crown churches - all illuminated with colored lights. Without a doubt, this spectacle will forever remain in your memory. Come to a unique Kyiv and see everything for yourself! Відбулося засідання комісії ЮНЕСКО (організація ООН, що займається збереженням, зокрема, культурної спадщини), на якій оголошено про початок важливого для України процесу. Це стосується винесення Трипільської культури до списку світового надбання людства. Процес доволі тривалий, і мине принаймні 3-4 роки. National Museum "Holodomor victims Memorial"